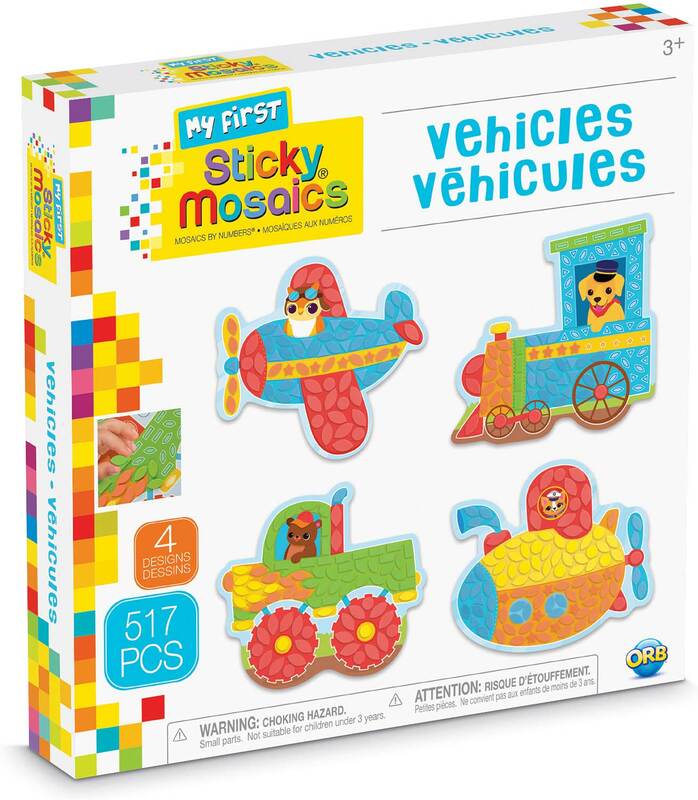 My First Sticky Mosaics Vehicles is perfect for little crafters. 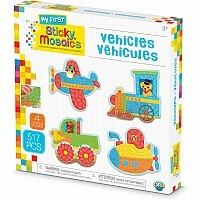 My First Sticky Mosaics sets use special oversized pieces that make it easy for little fingers. 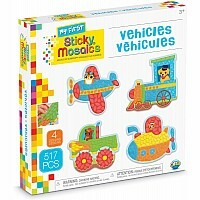 Match colors and shapes to create amazing mosaics masterpieces with a vehicle theme. 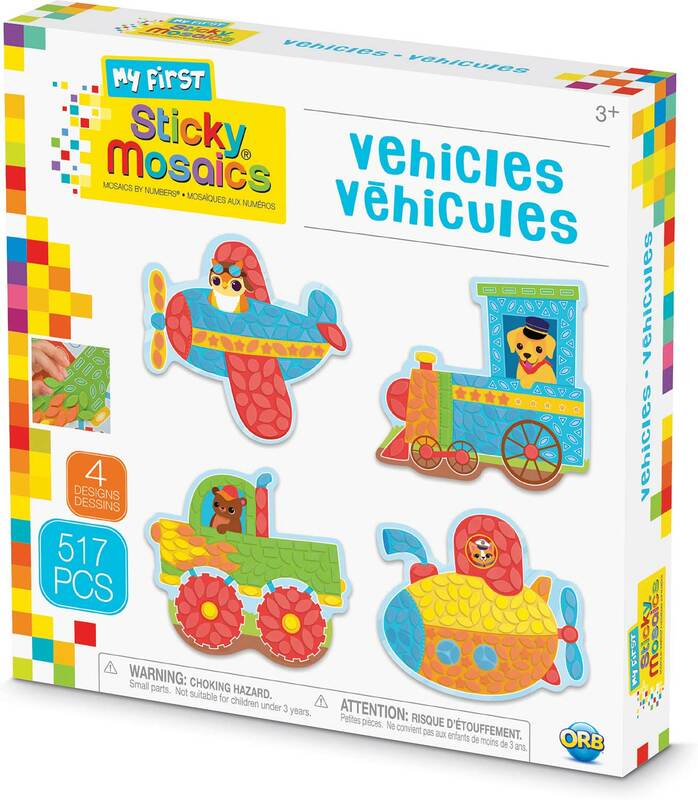 No mess, and perfect results every time. 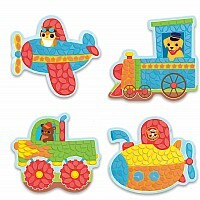 Set includes 4 fun designs, 515 sticky tiles and 4 hanging tags for display. 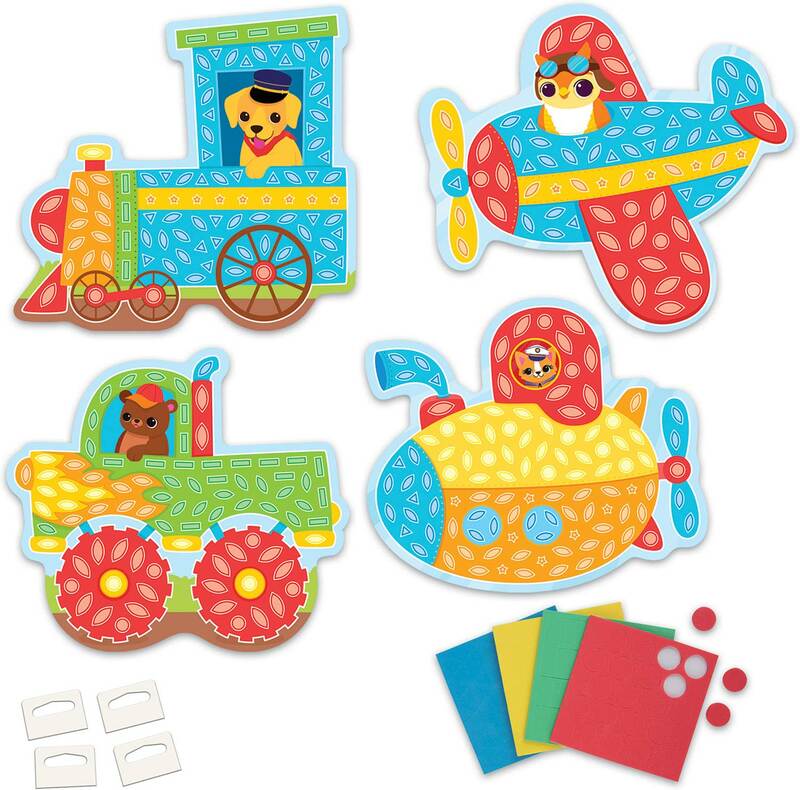 Measures approximately: 9.50 x 9.50 x 1.50 inches..